Sanofi has leapt in to buy Ablynx for €3.9 billion ($4.85bn) outbidding an offer from Novo Nordisk which the European biotech had declined two weeks ago. 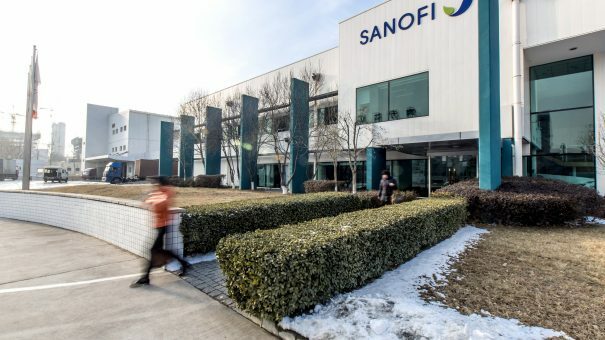 For Sanofi, the acquisition comes hot on the heels of the $11.6bn it spent on Bioverativ last week, reflecting its determination to acquire after missing out on two M&A deals. However investors are once again less than impressed by Sanofi’s M&A strategy – and whether the price will be ‘a steal’ will depend on Ablynx’s long-term pipeline productivity. Sanofi’s share price dipped after last week’s Bioverativ takeover news, as investors were concerned the pharma company had overpaid for a haemophilia portfolio which could be overtaken by newer treatments. Initial reaction to the Ablynx buyout news has also seen a fall in Sanofi’s share price this morning. This reflects concerns that the company has paid too much – the €3.9 billion is three times the market capitalisation of Ablynx in December. Novo Nordisk has today confirmed it won’t be upping its bid, and will look elsewhere for takeover targets. However the paucity of high quality biotech assets means Novo Nordisk may eventually have to pay higher multiples, as Sanofi has learnt. The appeal of Ablynx is clear: it is poised to win FDA approval for its first product, rare disease treatment caplacizumab, which could earn $400 million in peak annual sales. 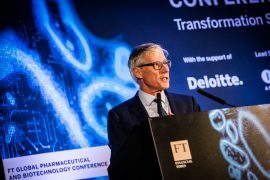 Caplacizumab has been developed for acquired Thrombotic Thrombocytopenic Purpura (aTTP), a rare blood disorder, and Sanofi says adding this to its other blood therapies will make it a major player in the growing field. 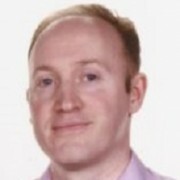 While caplacizumab is far from being a blockbuster candidate, the approval would validate Ablynx’s proprietary next-generation antibody ‘nanobody’ platform, which could deliver breakthroughs in multiple therapy areas. Only last summer, Sanofi signed a major €2.4bn R&D deal with Ablynx to use its nanobody technology to develop new immune-related inflammatory disease drugs, and so is already well acquainted with the biotech firm’s capabilities. The transaction has now been unanimously approved by both the Sanofi and Ablynx boards of directors. Brandicourt said the deal would build on the existing partnership, and indicated that it would not look to close down Ablynx facilities in Belgium. Sanofi has a new biologics manufacturing facility in Geel, and says the Ablynx science centre in Ghent will be maintained and supported. Ablynx’s chief executive Edwin Moses noted: “Since our founding in 2001, our team has been focused on unlocking the power of our Nanobody technology for patients. The results of our work are validated by clinical data. As we look ahead, we believe Sanofi’s global infrastructure, commitment to innovation and commercial capabilities will accelerate our ability to deliver our pipeline. From a European biotech perspective, the acquisition is a major endorsement of the sector’s ability to produce world-class science, with Belgium among one of the strongest regions for innovative biotech firms. However the buyout before Ablynx’s first product even reaches the market confirms the difficulty of building ‘big biotech’ in Europe. Investors are usually keen to capitalise at this stage rather than build companies over a longer period, meaning Europe may never produce a company like Amgen or Genentech.